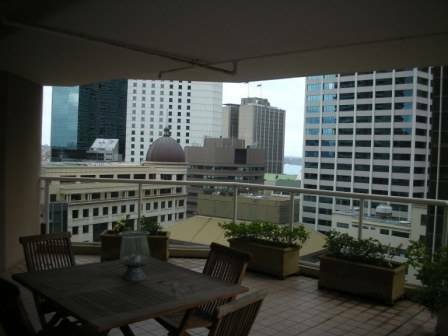 Our apartment is bright, spacious north facing in a high rise block on the first floor in the Eastern suburbs of Sydney. 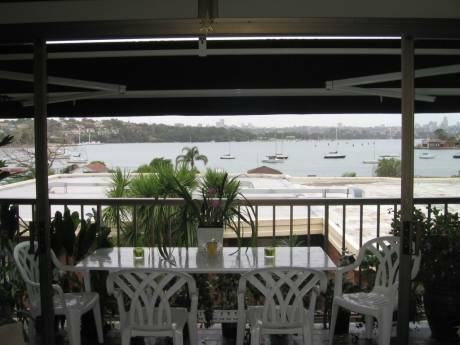 The bedroom has double bed shuttered windows overlooking pretty garden with harbour views. The living room also overlooks garden and with views down on to Double Bay. Ensuite bathroom, kitchen, dining area, security building. Swimming pool.Bus to city and Bondi Beach at door. The ferries leave from Double Bay and Darling Point to Circular Quay. Lift in building. Darling Point is five kms from city of Sydney. Bondi Beach is five kms away. A quiet neighbourhood close to the boutiques of Double Bay. Everything within five minutes of everything the city has to offer. There is just the two of us - I am retired and love hats and racing. We have two children both now left home one living in England. We both love travelling and enjoy theatre and fabulous dining. Darling Point is a very central location to everything in Sydney. The harbour is but three minutes walk from here to the ferry. Beautiful walks around the harbour in both directions. 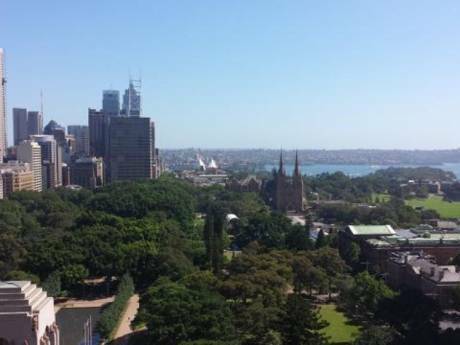 Close to all the shopping areas including Double Bay, Oxford St. Bondi Junction, City of course. Theatres, fabulous restaurants, coffee shops etc. all within minutes. Local store on corner. CYC Yacht Club five minute walk where Sydney - Hobart race starts 26th December every year.